We're all pretty used to subtitles for movies and TV shows -- even if we don't need them, they can prove useful -- and Microsoft has now added this feature to Skype. 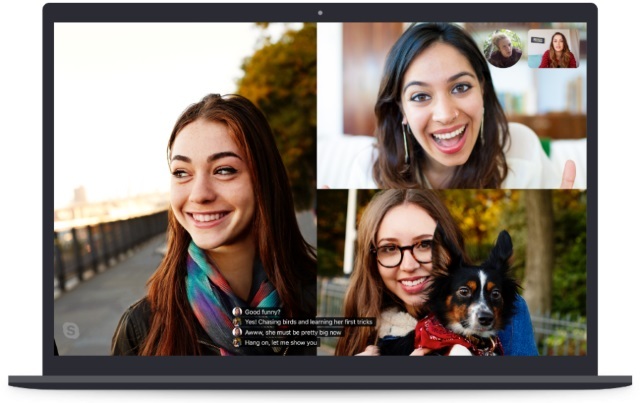 Ostensibly an accessibility feature (and launched on United Nations International Day of Persons with Disabilities), the new option means that Skype will be able to use voice recognition to show you the text of what is being said in a voice call. Microsoft will also bring the same feature to PowerPoint next year. Microsoft promises that live captions and subtitles are "optimized to be fast, continuous, and contextually updated as people speak", and in the current incarnation they will automatically scroll during a call. In a future update, however, it will be possible to manually scroll through subtitles and take advantage of additional viewing options. During an audio or video call, select the more + button. Toggle on Show subtitles for all voice and video calls. To show our commitment towards inclusivity, we're also releasing translations that support over 20 languages and dialects in the coming weeks. Whether you're learning a new language, having a tough time understanding your friend from across the world, or attending a meeting that is not in your native tongue, our new translations will help keep you up to speed. Once you turn translations on through a simple setting toggle, you can read subtitles in the language of your choosing in every call. Starting early 2019, Microsoft will also be bringing real-time captions and subtitles to PowerPoint. These will provide transcriptions of a presenter's spoken words that appear onscreen either in the same or a different language.